Before I left for college, my mom sat me down, instructed me to open up a word document on my computer, and informed me that she was going to finally school me on how to properly sustain myself while living in my own apartment. She began this endeavor with her favorite, “healthy, wholesome, easy and delicious” recipe for lentil soup. While there were points in my life when the idea of eating lentil soup for dinner was acknowledged with mild revolt, after eating cafeteria food for three years, I have developed a new appreciation for my Mama Lise’s recipe for lentil soup – which I now acknowledge is quite tasty. Zoë McKinnell is a senior at Brown University. She loves cooking seasonally and is currently apple–obsessed. Pour lentils into a large pot and add cold water until lentils are just covered. Bring to boil and let stand for 5 minutes. Drain lentils well and rinse with cold water. Set pot aside. In another big pot, add the olive oil, cooking onion, celery, green pepper and carrots. Sauté the vegetables for approximately 8 minutes. Add the washed lentils to the pot with the sautéed vegetables. Add the chicken or vegetable broth. Fill the pot with water so that the top of the lentils are covered by 1 inch of liquid. Add tomato paste, salt, pepper, cumin, oregano and honey. Mix and stir all the contents of the pot well. Bring pot to boil and let it boil for 5 minutes. After 5 minutes, reduce heat to medium and watch the beans expand. The lentils should remain slightly covered in liquid, but there should not be too much liquid. Brew up until the beans are soft and tender for approximately 30 minutes. When cooked, add fresh cut parsley to garnish. Serve with a toasted country, grainy bread and a salad. Once cooled, freeze extra in separate containers and thaw as desired. Categories: Blog, Campus Cooking, Eating, Healthy Recipes, and Recipes. I'm Cooking For...: Detox, Easy Dinner, and Myself. Type of Food: Vegetarian and Vegetarian Main. Sounds GREAT but I have one question on the process. You say to bring to a boil and let stand for five minutes. Do you mean to boil for five minutes, or bring to a boil, remove from heat and let stand for five minutes? Or some variation of the two? Geez. I wish someone had sat me down and told me how to properly sustain myself when I moved out on my own. I ate so much junk, I get a little itchy thinking about it. Back then, I would have considered lentil soup poison. Bravo to granola mothers who teach their darlings how to eat properly. The recipe looks great! I’m wondering about the honey. It seems like a lot. Do you use it to cut the acidity of the tomato paste? Just made the soup and it was fantastic! I love the hint of cumin! Gives it a subtle kick. This receipe sounds delicious!! I cant wait to try it!! This receipe sounds delicious!! I cant wait to try it!! Lentils are so healthy and economical. Love lentils and can’t wait to try this. Looks nice and easy!!! this soup was so easy to prepare. Fast and nutritious meal! I tried this soup and it was fantastic. Excellent! 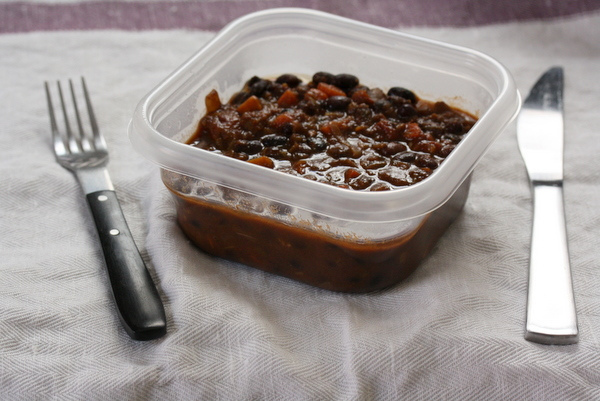 Good to have something that can be frozen and quickly thawed for lunches or a quick meal. Excellent soup. Very rich in flavour and spices. Just the way I love it. Great recipe, especailly for vegetarians, good protein fix on a winter or fall day. Wish I had a recipe like this when I lived on my own at college. I ate right out of a can of beans. This soup sounds delicious and can’t wait to try it. Mmmm, I love a good lentil soup! Shout out to Mama Lise for this awesome recipe! Hi! This looks like a GREAT recipe, but could you please specify the amounts – how much is “1 bag green lentils” in grams, ounces or volume? And how much is 1/2 tin of tomato paste? Thanks! I practically make this soup with my eyes closed so sorry for the confusion. You want 450 grams of lentils and approximately 2.5 – 3.0 oz. of tomato paste. I made lamb with lentils tonight with wine, fresh rosemary from the garden, cumin and lots of garlic. Everyone loved them. Lentils are so great…versatile and full of iron. We eat them a lot! I have been in the kitchen all day…I made the okra with fresh tomatoes and dill, baked sweet potato puree with freshly grated nutmeg and sharp cheddar, pumpkin muffins and I’m just waiting for my nuts and bolts to bake. I added Masala Garam and cinnamon to them. I wonder if I over spiced them.